Riding the Radinn Wakejet feels like flying over the surface of the water. No wonder this exciting new product proved such a hit at this year’s London Boat Show at the ExCel Centre in the Docklands. 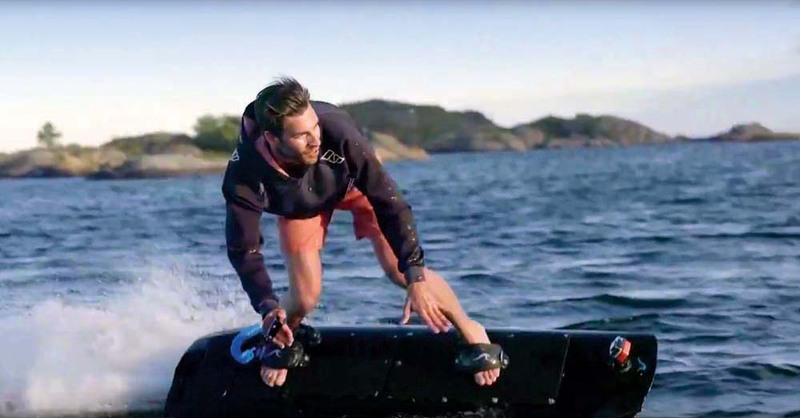 The brainchild of Swedish entrepreneur Philip Werner, the Wakejet Cruise is revolutionary because it allows wakeboarders to surge over the water without the need of a powerboat and tow rope. Following an official unveiling at Cannes last year, the futuristic boards were launched in the UK on the Landau UK stand at the London Boat Show and are sure to turn heads among watersports fans looking for something different. If you’re wondering how much these electric wakeboards cost, prices start at €15,000. The boards are available in a choice of three colours – Amazon Green, Pacific Blue or Glacier White.